Verizon (NYSE:VZ) has officially completed its deal to acquire Yahoo’s Internet assets. The deal’s close comes nearly a year after the acquisition was first announced. Verizon paid $4.48 billion for the assets. The remains of Yahoo will be renamed Altaba Inc. and will become mainly a holding company for Yahoo’s large stake in Chinese e-commerce company Alibaba. The completion of the deal comes after months of uncertainty about whether it would go through. The acquisition was thrown into doubt after Yahoo disclosed two massive security breaches affecting more than one billion users. 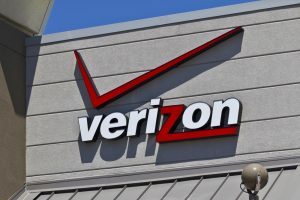 That breach resulted in Verizon cutting the price tag by $350 million from its original offer price for the company. Verizon and Yahoo also agreed to split the cost of any legal liabilities resulting from the breaches. In an open letter to Yahoo employees, Mayer said, “It’s been my great honor and privilege to be a part of this team for the last 5 years. Together, we have rebuilt, reinvented, strengthened, and modernized our products, our business, and our company.” It has not been disclosed who else is departing along with Mayer. As many as 2,100 employees, or about 15 percent of the staff, will be cut from the combined venture, according to a source familiar with the plans. Most of the cuts are expected to fall around areas like operations and sales and marketing. Verizon currently employs about 161,000 people and made $126 billion in revenues in 2016.